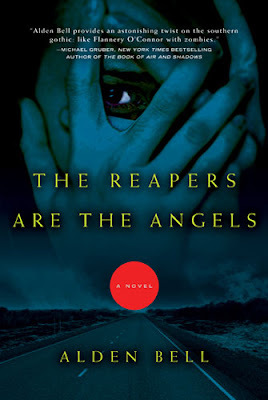 Written by Joshua Gaylord under the pseudonym Alden Bell, The Reapers are the Angels is a 240-page novel that was published last month by Holt. It is a smooth, easy read, broken into 16 chapters (and three unequal parts). It takes place in an America that has not been “normal” as today’s reader knows it for over twenty years. The story focuses on Temple, who has grown up entirely in the “meatskin” world and knows no other life than that of loneliness, wandering, and fighting to survive. Bell’s narrative calls to mind Cormac McCarthy’s The Road and combines it with elements of several recent zombie novels or movies: cars with full tanks of gas that start right up, impossible electricity, deserted amusement parks, vacant shopping malls, and small oases of life trying to remain oblivious to the zombies all around. However, once the setting and background are established and the action really gets going, Bell incorporates some nice plot twists and employs character development that keeps the reader wanting to turn pages to reach the end of Reapers to see what becomes of the heroine. Temple, the heroine of The Reapers are the Angels is a character whose steely exterior is well-presented. Bell hints at her youth and vulnerability more and more as the novel progresses, but also never lets the reader forget that Temple is a character you don’t want to mess with—she has strength and worldliness well beyond her 15 years. The other characters are all portrayed with a good sense of how Temple sees them, through the eyes of a girl who has never known a world without a zombie infestation. Stories told by older characters in the book of “normal” life are often juxtaposed with Temple’s experiences (all in the “meatskin” world) to highlight what Temple’s growing up has really been like. Bell is able to use such comparisons to make the reader sympathize with Temple. As Temple’s journey progresses, traveling lonely in a sparse world, she faces many dilemmas and is forced to put aside politeness and sentiment for the lone task of survival. Run in after run in, Temple is victorious in making sure her current task or mission is accomplished. She is too stubborn and resilient to give up, even in a world where all odds are against her. As she crosses the South from Florida to Texas, in cars, on foot, or by train, Temple is a heroine who touches the hearts of many of the characters she passes, more than she realizes. She is also able to get into the heart of the reader, so that he or she is hoping Temple will make it to see through her goals and plans. In addition to the well-developed character of Temple, there are many other features of the writing that make it a pleasure to read. While Temple’s grammar is somewhat imperfect (as she has had no formal education), it fits the character well. 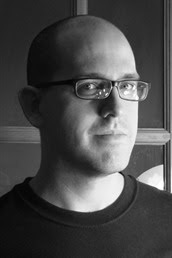 Otherwise, Bell uses a style of writing that is very clean and easy to follow. He also has a mastery of language and creates such vivid pictures with his descriptions that the reader can easily conjure the image that is being painted. The Reapers are the Angels has vivid portrayals that make the reader employ all five senses, which is a task not consistently accomplished in many novels. Pick up Alden Bell’s The Reapers are the Angels for a quick read that incorporates some expected or predictable zombie-genre elements as background for the development of a heroine who easily earns the reader’s compassion. It will keep you reading to the end, wanting to see how Temple maneuvers her difficult environment to accomplish her goals. Zombies & Toys has several copies of The Reapers are the Angels that we are giving away! To enter, email your name and address to reapers@zombiesandtoys.com. Winners will be selected on October 8th. This reviewer is the bestest!